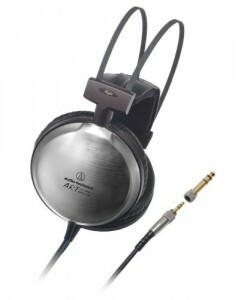 Audio-Technica Corporation, established in 1962 and headquartered in Tokyo, Japan, is a company that designs and manufactures professional wired and wireless microphones, headphones, phonographic magnetic cartridges, and other audio equipment. One of their most famous products was a battery-operated, portable record player called Mister Disc that was sold in the U.S. in the early 1980s. Audio-Technica has been supplying all the microphones for the Grammy Awards for the last 10 years, as well as completely kitting out TV shows like the American version of Big Brother, Deal or No Deal, The Rock and Roll Hall of Fame inductions, as well as the Olympic and winter Olympic games in 1996, 2000, 2002 and 2004. Striped ebony housing provides superb acoustic characteristics. 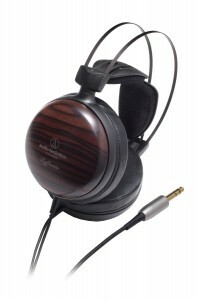 Ear pads cushioned in leather feature A-T’s ultra-comfortable total ear fitting design. 53mm drivers, equipped with neodymium magnet systems designed exclusively for the W5000. Driver unit incorporates a Permendur magnetic circuit with exceptional magnetic characteristics. High-quality 8N-OFC (oxygen free copper) voice coils for ultra-efficient signal transfer. Frequency Response 5 – 45,000 Hz. Lightweight magnesium alloy frame. Stop chasing for the true crystal-clear sound â€” the new ATH-A2000X from Audio-Technica will satisfy your need for remarkable playback quality. The titanium housing is specially designed to support acoustic quality. 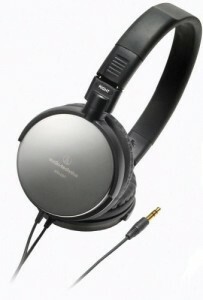 The headphones feature a new developed 53 mm driver that produces a wide range of playback frequencies. The original 3D wing support has always provided outstanding long-wearing comfort. 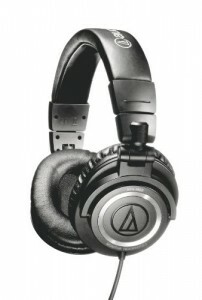 ATH-A2000X is one of the best Art Headphones for home theater systems. An ultimate balanced armature headphones for expressing all ranges with perfect performance. 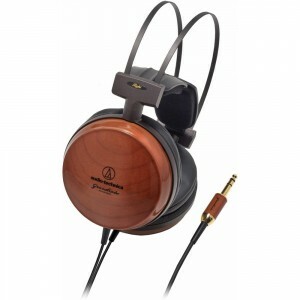 To celebrate Audio-Technica’s 50th Anniversary, A-T has introduced the Audio Technica ATHM50SLE Limited Edition Studio Monitor Headphones. Designed especially for professional monitoring and mixing, the ATHM50SLE studio headphones feature an efficient collapsible design for space-saving portability and storage. Circumaural ear pieces swivel 180 degrees for easy one-ear monitoring and luxuriously padded ear cushions create an outstanding seal for maximum isolation. These limited edition headphones also feature an adjustable headband that is generously padded for ultimate comfort during long mixing sessions. 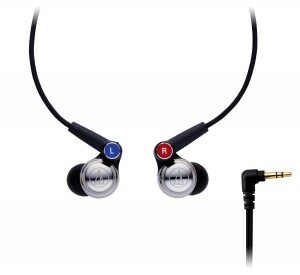 A straight cable at the left earpiece terminates to a gold-plated mini-plug with included screw-on 1/4-Inch adapter. Audio-Technica’s sophisticated driver technology and superior components deliver exceptional power handling and very high SPL capabilities while maintaining clarity of sound throughout their extended range, with deep, accurate bass and outstanding high-frequency extension. The ATHM50SLE Limited Edition Studio Monitor Headphones feature proprietary large-aperture drivers with neodymium magnet systems for ultra-efficient signal transfer. 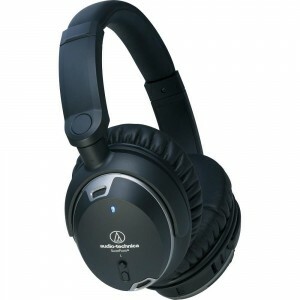 Audio-Technica’s ATH-ANC9 QuietPoint headphones use proprietary active noise-cancelling technology to provide a comfortable listening environment in areas with high ambient noise. 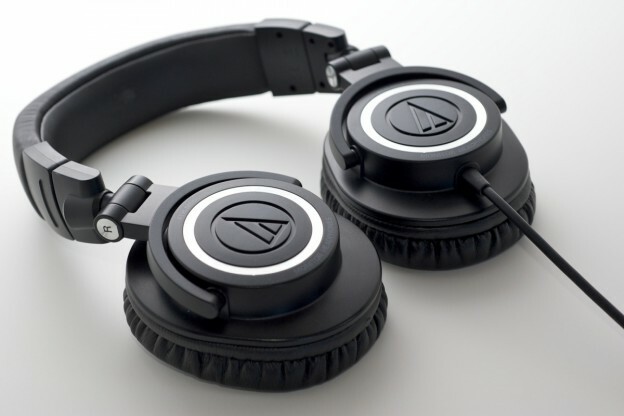 Delivering noise cancellation up to a remarkable 95%, the ATH-ANC9 QuietPoint headphones feature Audio-Technica’s new Tri-Level Cancellation. Mode 1, ideal for use on airplanes, trains and buses, applies maximum noise cancellation to low frequencies. Mode 2, designed especially for use in noisy offices or crowded places, targets the mid-range frequencies, while Mode 3 creates a pristine, peaceful environment ideal for study. The headphones feature four miniature microphones, two in each earpiece, that pick up ambient noise and create a sound-cancelling signal to effectively block the noise. 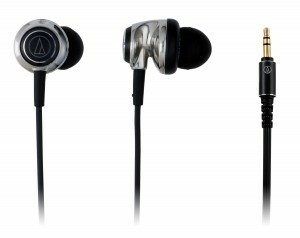 The ATH-ANC9 headphones also offer a cable with an inline microphone and controller for answering calls and controlling music. The mic and controller support select products, including iPhones, iPads, and many iPods. The microphone has an omnidirectional pickup pattern and it is designed for crisp intelligibility, so your voice will be clearly transmitted without having to speak directly into the mic. These headphones are designed to offer you crystal-clear sound that makes Audio-Technica the choice of leading artists worldwide. Wherever you happen to find yourself-in the comfort of your living room, in a noisy office, or settling in for a long flight-there is no better way to experience audio or immerse yourself in a peaceful environment. The ATH-AD900x features large 53 mm drivers exclusively designed for the headphones, with rare-earth magnets and Audio-Technica’s copper-clad aluminum-wire (CCAW) voice coil technology for superior audio reproduction with an extremely wide 5 Hz – 35,000 Hz frequency response. The ATH-AD900x offers an immersive listening experience with clear, natural vocal and instrumental reproduction, a smooth tonal balance, precise imaging and superlative dynamic range. The headphones offer a uniquely comfortable fit thanks to their generously cushioned ear pads, lightweight honeycomb aluminum casing and exclusive 3D Wing Support Housing, which adjusts itself perfectly to each wearer. Hear the depth of bass you’ve been missing in your music. 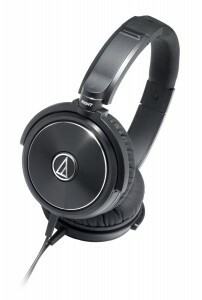 The ATH-WS99 Solid-Bass headphones deliver incredibly full and textured bass, along with the astonishing clarity and fidelity for which Audio-Technica is renowned. A-T’s innovative Double Air Chamber System extends bass response without compromising mid- and high-frequency content. Precision machined aluminum housing eliminates undesired vibrations for powerful sound reproduction. 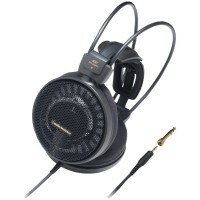 The headphones feature 53 mm drivers for powerful sound and efficient signal transfer. The headphones come equipped with two 2.6-ft. (0.8 m) extension cables, one with an inline mic, playback and volume controls for smartphones and other compatible devices. Our absolute best in-ear headphones deliver truly professional performance for the most demanding listener. Equipped with exclusive Permendur* magnetic circuitry, our largest in-ear 14 mm drivers, and titanium-forged body, these headphones will surprise and delight. 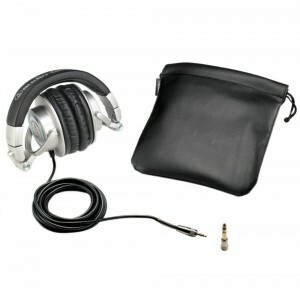 Nothing is spared, including a double-shielded, low-noise cable and aluminum sleeve plug. If you’re looking for the best in-ear headphones money can buy, look no further than the pro grade, ultra rugged ATH-CKM1000s. The Audio Technica ATHES7 Headphones blend an ultra-sleek contemporary stainless steel design and outstanding acoustic performance. This fold-flat design delivers impactful sound, exceptional isolation, efficient signal transfer, and a secure, comfortable fit.